Can I Play Singapore Toto Online? Read Reviews! Days of Draw: Mon., Thurs. 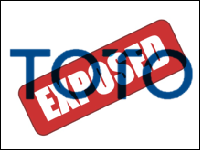 Singapore Toto Exposed — Can You Win 1 Million Dollars Online? Singapore is a place that has well-established lottery traditions. In fact, Singapore Pools – the organizer of such games – came into existence in 1968. This is also the year when the company’s first lottery was launched. Over the years, Singapore Toto has undergone some changes and modernization. It is still the most popular Singapore lottery and surveys reveal that 58 percent of Singapore residents have participated in it at least once over the course of one year. This sounds quite promising, doesn’t it? You probably want to find out more and also determine if you can play Singapore Toto online. The following guide will shed some light on all of the important information. Fasten your seatbelt and let’s get started. The history of Singapore Toto started in the distant 1968. This was when a manual version of Toto was launched shortly after Singapore Pools was set up. Over the coming decades, a couple of changes were introduced in terms of technology and gameplay. The first change came in 1981 when a rollover jackpot was introduced. Previously, Toto had a fixed jackpot that didn’t grow. Obviously, the change boosted the popularity of Toto among Singaporeans because it allowed for more massive jackpots than ever before. Originally, the game had a 5/49 format. This changed in 1988 when a 6/42 format was introduced. In 1997, the format changed once again to 6/45. The minimum guaranteed jackpot was increased to 500,000 dollars from the previous 300,000. Finally, in 2014 Toto got its current 6/49 format. The minimum guaranteed prize was changed once again to reach the current level of 1 million Singapore dollars. Is it a Scam and Can You Make a Singapore Toto Online Purchase? Let’s address the questions one by one. The answer to the first one is a definite no – Singapore Toto is not a scam. Singapore Toto is regulated and organized by a state-owned lottery subsidiary company. Singapore Pools was set up in 1968 and it is the only operator that has the legal authority to organize lotteries in Singapore. Singapore Pools is owned by the Singapore Totalisator Board – an entity that operates under the Ministry of Finance. Its primary goal was to curb illegal betting and gambling in the country, a goal that has been accomplished pretty well through the establishment of various legal games and lotteries. Singapore Toto is one of these games. Currently, Singapore Pools operates three lotteries – Toto, 4D and Singapore Sweep. The company operates more than 300 outlets throughout Singapore that facilitate ticket purchases and the payment of prizes. On top of ensuing legal lottery operations, Singapore Pools also generates funding for social and charitable causes. As far as playing Singapore Toto online is concerned, there are opportunities, but they come with certain conditions and limitations. We’ll take a deeper look at online Singapore Toto ticket buying in the coming sections. How to Play Singapore Toto? Singapore Toto is a standard 6/49 game. For a chance to win the jackpot, you have to choose six numbers from a pool of 49 and match all of them for the respective drawing. The drawings take place two times per week – on Monday and Thursday. A single ticket costs 1 dollar, but if you opt for a system, you will have to spend a bigger amount on the purchase. A system of 12 is the most expensive bet and it is going to cost 924 Singaporean dollars. As you can see, this is a pretty straightforward game that doesn’t have bonus numbers, additional drawings and complications. The odds of winning the Singapore Toto jackpot are 1 in 13,983,816. The biggest jackpot in the history of the game was 13.943 million Singaporean dollars (10.35 million US dollars). The spectacular sum fell in February 2016 and it was split between two lucky ticket holders. Each one of them acquired 6.971 million dollars. The second biggest prize was 12.067 million dollars. It fell on February 27, 2015. The sum was once again split between two winners. The biggest amount that was claimed by a single player was 9.545 million dollars. This jackpot fell in February 2016. Other than the jackpot, there are 6 additional prize tiers. Each drawing features one supplementary number that’s chosen to determine a couple of the prize tiers. The second prize is handed to those who have 5 correct numbers and the supplementary number. Eight percent of the prize pool is dedicated to this tier and the odds of claiming a prize are 1 in 2,330,636. The lowest prize is handed to those who guess 3 numbers for the drawing. The prize is 10 dollars and the odds are 1 in 61. The overall odds of winning a Singapore Toto prize are 1 in 54. Players have 180 days from the date of the drawing to make a prize claim, regardless of the amount that they’ve won. Prizes of up to 5,000 dollars can be claimed at any Singapore Pools retail venue. Prizes that exceed 5,000 dollars can be collected from the Singapore Pools main office. Singapore is one of the countries that do not place taxes on lottery prizes. International players who have won Toto, however, should know that taxes in their country of residence will still apply to the amount. Playing Singapore Toto Online: What Are the Options? The good jackpots and the straightforward rules of Toto make many wonder whether they can play Singapore Toto online. To purchase lottery tickets online for Singapore Toto, a person has to be on the territory of Singapore. Singapore Pools has made Singapore Toto tickets online available, but this possibility can’t be accessed from another country. Online lottery agents still don’t carry Singapore Toto tickets. If you are in another country, you’ll have to opt for an alternative. Would you mind rating Singapore Toto? If you’re not bothered by the shortcomings, you will enjoy Singapore Toto. There’s nothing to worry about. This is a completely legitimate national lottery that guarantees a good jackpot for every single drawing. Next time you visit Singapore, you should definitely spend 1 dollar on your lucky Toto ticket. Who knows, it could be the ticket that will change your life.